Craft beer and tastings...it's a Yankee Thing! 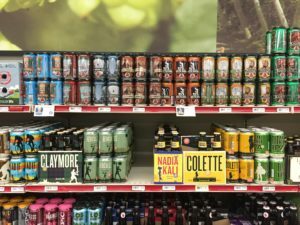 Home / Beer • Packie / Craft beer and local tastings…it’s a Yankee Thing! It’s the beginning of the week and I need to stock up on some frothy goodness. Time to stop in at one of the largest liquor stores in all of Massachusetts, Yankee Spirits in Sturbridge, MA! Years ago, around 2005, I was once a part time employee of this establishment. During the week, it was busy. Come the weekend, there was a great chance you were parking over by the Burger King, and the parking lot is big. During the holidays it was so busy you might have thought the government was going to reenact prohibition on the following day. Times have changed a bit for Yankee Spirits. Yes, they still sell wine and hard alcohol. It’s the recent changes in the past few months that is pure awesomeness! 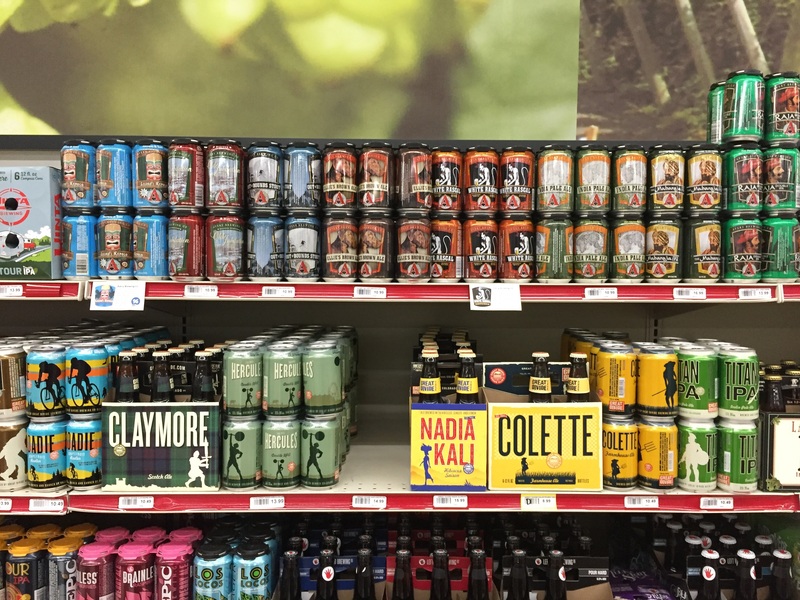 Like any other packie, they know there has been a growing demand for quality craft brew. 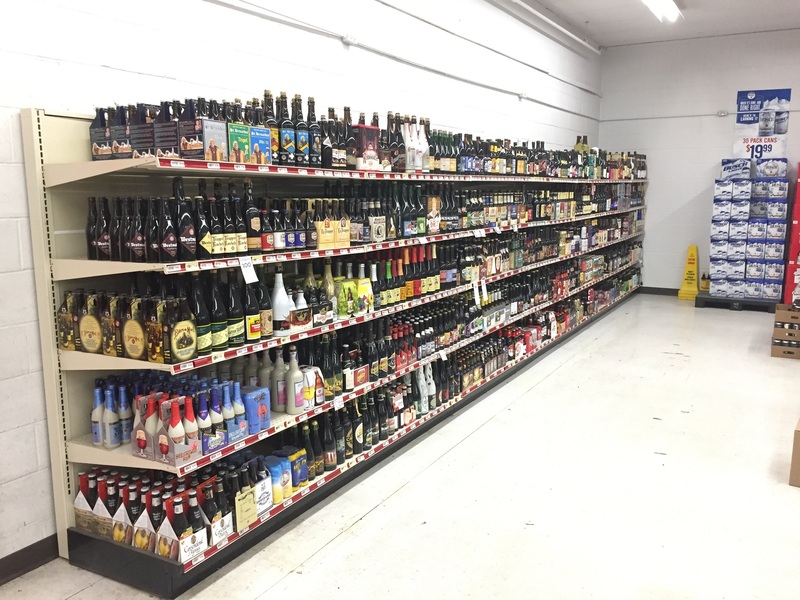 In the back of the store is now a 100 foot wall of liquid gold! From pint bottles to the left, to cans and bottles of IPA’s, Lagers, Witbiers in the middle, to imported beers and hard ciders to the right. 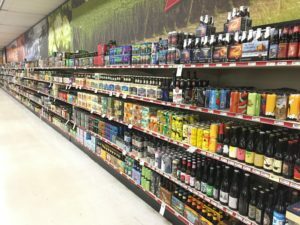 Yankee Spirits could probably open a new location just for the craft beer they have alone (please stay in Sturbridge if you do) but I am certain they do not have everything. If they don’t they can probably get it…maybe! When you arrive, head to the back, and ask for Kenny or Dan, the cicerones of Yankee Spirits! They could tell you what they have, what they can get, or what is coming in, off the top of their heads. Kenny knows beer and he should, having started at Yankee Spirits about the same time I did. Both are very knowledgeable about beer and the industry. As an added bonus when buying beer at Yankee, you get a 10% discount if you buy a six-pack of “craft” beer. Please take note that some beers cannot be sold individually. They have signs on the shelf to which ones but it is not many and you can always ask. 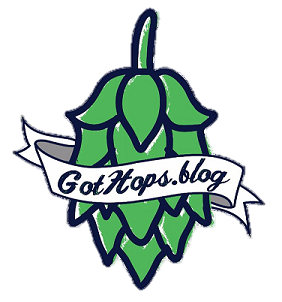 On tap this week for GotHops.blog is a visit to Altruist, a new brewery to open soon in Sturbridge and I get to have a one-on-one conversation with Shawn Rich of Bay State Brewery and the release of their new DIPA. Look for those blog posts in the next few weeks.